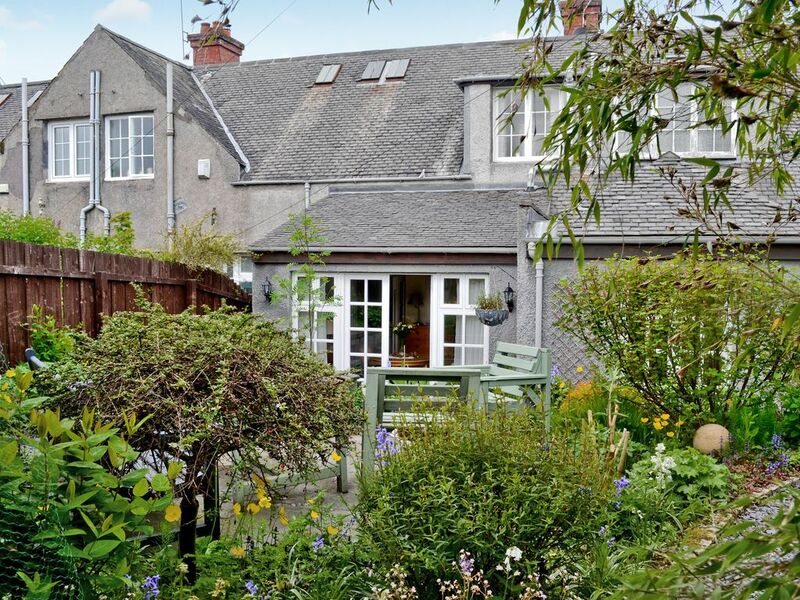 This mid-terraced holiday property is situated in a leafy street in the Westerton Bearsden area of Glasgow. Located only 10 minutes by train from the cosmopolitan West End and the city centre with museums, gardens, art galleries and superb shopping, restaurants, entertainment and nightlife. It is also only 15 miles from Loch Lomond and The Trossachs National Park, one of Scotland’s most picturesque areas with excellent outdoor activities to be enjoyed including walking, cycling, golf, fishing, pony trekking and watersports. Visit the Trossachs Discovery Centre to learn more about this exciting area, or enjoy a cruise on the stunning Loch Lomond. Stirling, with its ancient castle, is also easily accessible for the day and well worth a trip as is the historic city of Edinburgh only an hour away. Shop 400 yards, pub and restaurant 1 mile. Living room/kitchen: With wood burner, Freeview TV, DVD player, iPod dock, electric oven, gas hob, microwave, fridge, freezer, dishwasher, washing machine and wood and tiled floor. Garden/dining room: With patio doors leading to courtyard. Gas central heating, gas, electricity, bed linen, towels and Wi-Fi included. Initial logs for wood burner included. Travel cot and highchair available on request. Welcome pack. Enclosed courtyard with garden furniture. Bike store. On road parking. No smoking. Initial fuel for the woodburner included, thereafter available locally at cost. Up to one dog only. Super tolles Haus. Sehr gepflegt. Im englischen Stil eingerichtet. Thank you!